Continuing the Countdown – Why a New Podcast, Toward a More Jewish Jesus? 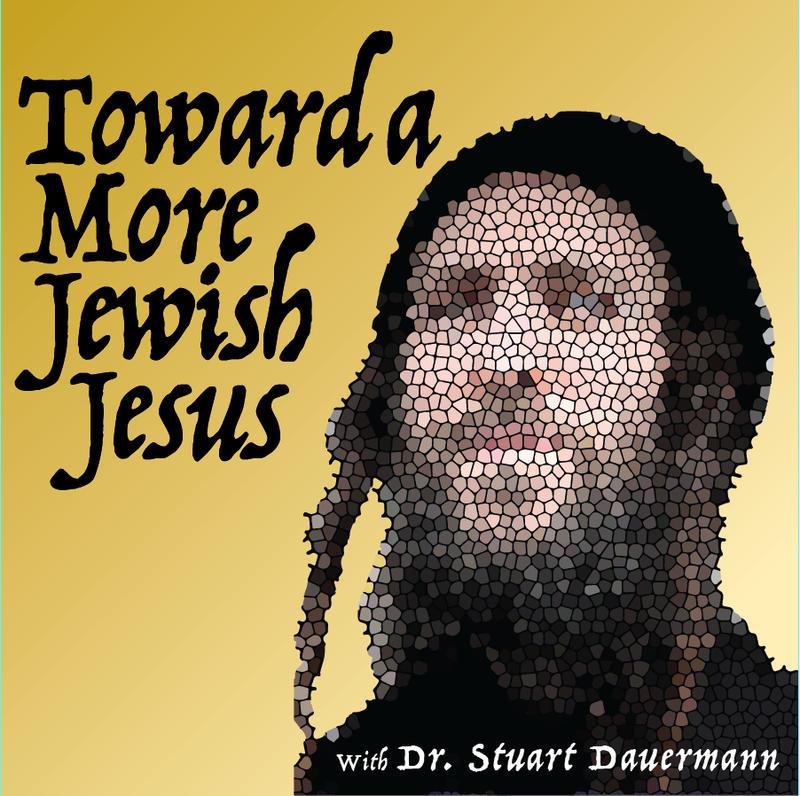 Why launch a new podcast, Toward a More Jewish Jesus? I could write volumes on this subject, and in fact am just finishing final edits on a scholarly work addressing this subject. But that’s for another blog post. Getting back to our question, “Why Toward a More Jewish Jesus?” A brief overview of just some of the reasons. First, we need to enrich thought and discussion through Toward a More Jewish Jesus simply to honor the truth of who he is amidst widespread confusion on the matter. I addressed this in a monograph, Son of David: Healing the Vision of the Messianic Movement. When he told the woman at the well, “we worship what we do know, because salvation comes from the Jews,” Yeshua was including himself in the “we” that is the Jewish people (John 4:22). The woman had no difficulty herself identifying him as such, for she said: “How is it that you, a Jew, ask for water from me, a woman of [Samaria]?” (4:9). Although neither Yeshua nor the woman were confused about the matter, a historical survey demonstrates that Yeshua’s Jewishness has long been obscured and forgotten. Examine the church’s artistic and literary legacy and you will detect amnesia concerning the Jewishness of Yeshua. Instead, the church embraces a generic Christ, the cosmic Savior, the Man for Others, a Metaphysical Hero, a Chameleon Redeemer who blends in perfectly wherever he is found. In its paintings, icons, weavings, drawings, and sculptures the church in every culture makes Jesus over in its own image. You will find the gentile Christ with the aquiline nose, the rugged white Anglo Saxon Marlboro Man Christ, African and Afro-American Christs, Asian Christs, often in Buddhist postures of meditative repose, Indian Christs looking more Guru than “Jewru,” Swinburne’s conquering pale Galilean, Mexican Cristos twisting in crucified agony, and various designer Christs, tailored to fit each consumer culture. Somehow the church lost sight of what was so obvious to the Samaritan woman: Jesus was, is, and evermore will be a Jew. Healing this blind spot is crucial because the Messiah of faith and the Yeshua of history only intersect in this one who became incarnate in the very Jewish womb of the Virgin Mary. Our faith in the Messiah is groundless wherever we lose contact with his flesh and blood specificity. Second, we need this podcast because more than we realize, we are all suffering under the burden of “The Opposition Jesus.” This is the paradigm of Jesus instead of the rabbis, the New Testament instead of the Talmud, the Church instead of (or as the new) Israel, grace instead of law, us against them. When we internalize such a paradigm either as advocates or opponents at best relationships between Christians and Jews become a cold war. The Opposition Jesus is an ingrained assumption that needs to be reconsidered not simply for the sake of peaceful relations, but also because of the truth. Paul, for example, told his protegé Timothy “Remember Yeshua the Messiah, who was raised from the dead, who was a descendant of David. This is the Good News I proclaim” (2 Tim 2:8). That “descendant of David” part is not simply a declaration of genealogy, it is a designation of office. As the Son of David, Yeshua is the expediter and guarantor of Israel’s final destiny, which is indeed good news. But this comes as strange news when we are indoctrinated in the Opposition Jesus. Finally, we need this podcast because Paul was right when he told the Ephesians this about Jesus, a.k.a. Yeshua: “He himself is our peace” (Eph 2:14). He wasn’t talking here about peace with God, but about peace between the Jewish world and the Gentile (read “Pagan”) world of his time. Yeshua was the means whereby these two communities that had always defined themselves in contradistinction to each other could live in differentiated harmony, with neither community absorbing or negating the other–different, but in peace. Today it is Christians and Jews that need this provision–to live in harmony and respect, and not in contradistinction and suspicion. Jews need to learn that Jesus is not the Leader of the Opposition. And Christians need to grow in respect for the Jewish people, their tradition, community, and leaders. For both communities, the Bible needs to be reexamined with the blinders off. And the More Jewish Jesus is at the center of these new possiblities. Visit this blog in a day or two and learn when we will launch this podcast. And for those of you catching up with 21st century technology, we’ll even explain what a podcast is!